So we’ve made it through the first week of our children being back in school. If your house is anything like mine, it has been a mad rush of school lunches, getting teeth brushed and catching the school bus on time. I am grateful, however, that one thing we haven’t struggled with is getting the kids out of bed in the morning. I have often wanted to soak up every second of summer, leaving “getting sleep back on track” to the first week of school. And I have paid for it every time. This year we started working on sleep the week before school started and were pleased to have our boys up and at em’ (without having to threaten to take away every toy they own) each morning this week. Making changes to your child’s sleep takes time. Typically 1-3 weeks is the time it takes to really adjust to a new sleep schedule. Slow and steady wins the race when it comes to making improvements to sleep. Too much all at once can lead to long battles at bedtime and very over tired children. If your first week of school has been less than successful in the sleep department, there are some things you can do to help your child get the sleep they need to wake feeling refreshed and ready to hit the books each morning. Early Bedtime – If you have ever met me or read anything I’ve written, you know how much I love early bedtimes – especially for school aged children. Our circadian rhythm (our sleep/wake cycle) is different than that of our children and therefore, their sleep needs are different than ours. A good bedtime for an adult is between 10:00 – 11:00 at night where our children should be in bed by 8:00. Yes, even your pre-teen who is insisting that all of her friends get to stay up until 11:00. Her body is still requiring about 10 hours of sleep at night and if she needs to be up for school by 7:00, she should have lights out by 9:00. Children in JK- grade 6 still need about 10-11 hours of sleep and should have lights out by 8:00. Have a Good Bedtime Routine – Spending 30 minutes getting ready for sleep is a good way for your child to unwind and let go of the day’s activities. Our bodies love consistency so starting your bedtime routine at the same time each night is a good way to let your brain and body know that it’s time to get ready for sleep. Cut out sugar and caffeine early in the day. The stimulant affect of caffeine is obvious but it can also alter your sleep cycle depleting your much needed deep sleep. High-sugar foods can increase your blood sugar levels which can lead to hormonal issues that will interfere with your sleep. Sometimes the first step to your child getting enough sleep is simply knowing how much sleep they actually need. Here is a list of how much sleep your child needs according to their age. 3 -8 Yrs – Once your child is around 3 years old they will likely be ready to drop the afternoon nap altogether. This can often be the case as young as 2.5 yrs old or after the third birthday but this is a good guideline. They still require an early bedtime and about 11-12 hours of sleep at night. 9-13 Yrs – Although children may start to live busier lives, they still need to get adequate sleep. This is often when children really start to struggle with sleep loss due to active schedules but they do still need between 9 – 11 hours of sleep per night. 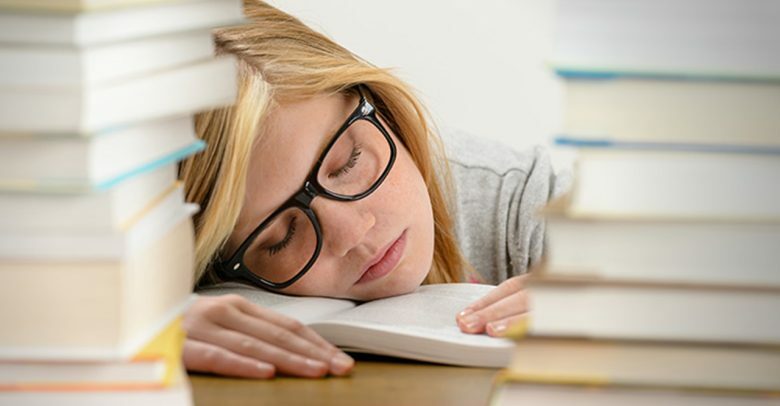 14-19 Yrs – Teenagers get a bad rap because it seems like they are sleeping all the time. The truth is, they have a very different circadian rhythm than adults do, but we tend to think of them as adults. They are natural night owls, which means they naturally feel tired later than we do. And they require more sleep than we do so to balance this out they need to sleep a little later in the morning. Unfortunately, our society doesn’t provide much support for these young people who still need to get 9-10 hours of sleep each night. About 80% of adolescents in North America are not even coming close to getting that much sleep! If your child isn’t getting the sleep they need there are ways to help get them back on track. Read my blog “Can I Sleep Train My Older Child?” It is never too early or too late to work on getting the healthy sleep that you and your children need.